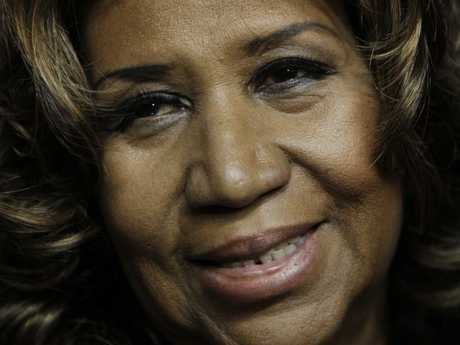 Franklin had been "gravely ill" and passed away surrounded by family and friends in Detroit, as tributes poured in for the legendary Queen of Soul. Grammy-winner Franklin influenced generations of pop divas with hits such as Respect (1967), Natural Woman (1968) and I Say a Little Prayer (1968). Franklin was one of the most respected artists of all-time. She cemented her place in music history with her powerful voice that stretched over four octaves, and her hits spanned from soul to R&B to gospel and pop. Evrod Cassimy, a local television journalist for WDIV who also described himself as a friend of the singer, said he spoke with the legend Tuesday morning and she was "with close friends and family, resting." "I've been speaking with her family members," Cassimy said during a newscast. She sang gospel songs in her father's church and her career rose to regularly topping rhythm and blues and pop charts in the 1960s and 1970s. Beyond Respect, her powerful cover of Otis Redding's tune that became her calling card, Franklin had a string of Top 40 singles, according to the Rock and Roll Hall of Fame. They included Day Dreaming (1972), Jump to It (1982), Freeway of Love (1985), and A Rose Is Still A Rose (1998), and 1987's I Knew You Were Waiting For Me, a duet with the late George Michael. Franklin was the most lauded female R&B vocalist of her era. Her style influenced pop divas from Mariah Carey and the late Whitney Houston, whose mother was a backup singer for Franklin, to Alicia Keys, Beyonce, Mary J. Blige and Amy Winehouse. She won 18 Grammy Awards during her career, including one for Lifetime Achievement in 1994. In 2005, Franklin was awarded the Presidential Medal of Freedom, the highest award for an American civilian, by then-president George W Bush. She sang at the inaugurations of two presidents, Bill Clinton and Barack Obama. Franklin, who is widely known by only her first name, in true diva style, rose from singing gospel in her father's church to regularly topping rhythm and blues and pop charts in the 1960s and 1970s. An early photo of Aretha Franklin. 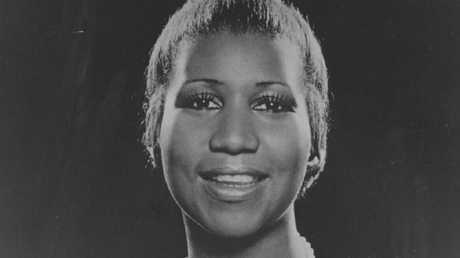 Beyond Respect, her powerful cover of the Otis Redding tune that became her calling card, Franklin had dozens of Top 40 singles, according to the Rock and Roll Hall of Fame. Other hits include Day Dreaming (1972), Jump to It (1982), Freeway of Love (1985) and A Rose Is Still A Rose (1998). She won 18 Grammy Awards, including one for lifetime achievement, and sang at the inaugurations of two presidents: Bill Clinton and Barack Obama. Franklin underwent surgery for an unspecified illness, reported to be pancreatic cancer, in December 2010 and was frequently ill, while keeping a regular concert schedule, in the years since. She performed in November at the Elton John AIDS Foundation Gala in New York to a private audience. Family of Aretha Franklin releasing this statement. Her final public performance was in Philadelphia in August 2017. 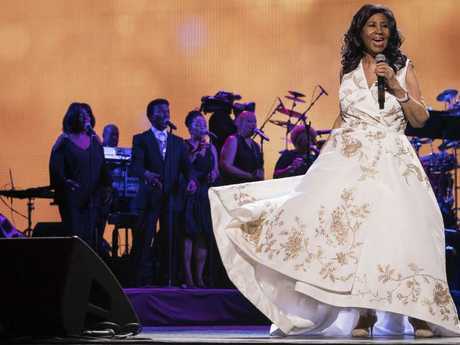 "It was a miraculous show as Aretha was already then fighting exhaustion and dehydration," Showbiz 411 reporter Roger Friedman wrote, describing the Philadelphia concert. That same year, Detroit named a street after her. Franklin previously struggled with alcoholism, obesity and a heavy smoking habit. Standing outside the Motown Museum in Detroit on Tuesday, Linda Laura-Culbreath told AFP that Franklin had influenced a generation of women who were empowered by her songs. "We all were blessed with pure talent," the 53-year-old musician, who was visiting from Milwaukee, said. Aretha Franklin performs at the world premiere of Clive Davis: The Soundtrack of Our Lives at Radio City Music Hall, during the 2017 Tribeca Film Festival. Tributes have flooded in for Franklin from both inside the entertainment industry and beyond. After news about Franklin's worsening condition broke, stars including Mariah Carey - who was heavily influenced by Franklin - offered tributes and prayers for their idol. "My prayers are with Aretha Franklin and her family during this difficult time," tweeted rapper Missy Elliott. "We MUST CELEBRATE the Living Legends while they are here to see it. So many have given us decades of Timeless music." Pop diva Mariah Carey tweeted: "Praying for the Queen of Soul." Born in Memphis, Tennessee, Franklin was only 12 when she gave birth to her first child. 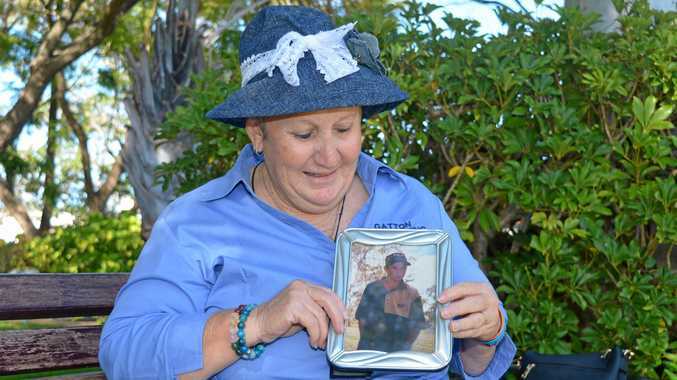 She had another at 14 and suffered an abusive marriage at the age of 19. She was married twice - her first was to former manager Ted White (1961-1969). She then married American actor Glynn Turman (1978-1984). Franklin had four sons: Clarence Franklin (1955), Edward Franklin (1957), Ted White Jr (1964) and Kecalf Cunningham (1970). Having started singing at her father's Baptist church, Aretha went on to sell millions of records as one of the most successful female artists of all-time. Franklin signed with Columbia Records as a teenager. The label attempted to mould her into a pop singer. She truly became "Aretha Franklin" after signing with Atlantic Records in 1966, releasing a succession of albums and singles of unparalleled power and emotional depth. The legendary singer lived in Detroit, the home of Motown music, most of her life. She cancelled planned concerts earlier this year after she was ordered by her doctor to stay off the road and rest up. She was originally scheduled to perform on her 76th birthday in March in Newark, New Jersey, and at the New Orleans Jazz and Heritage Festival in April. Last year, the icon announced her plans to retire, saying she would perform at "some select things". A Hollywood movie about her rise to stardom is currently in production, starring Oscar-winner Jennifer Hudson. In January, Deadline reported that Franklin personally chose Hudson to play her in the MGM-produced bio-pic, with the working title Queen of Soul.